Our range of “Gloucestershire Cheeses” has proved to be so popular we are featuring them again this year. We aim to offer a selection of quality cheeses all well matched to drinking quality cask ale, cider or perry. These are some of the cheeses featured, and may make another appearance! Holy Smoked is a Single Gloucester cheese but not traditionally matured, as the smoke would not penetrate rind evenly. It is smoked using oak or beech chippings and is the only Smoked Single Gloucester in the world. The cheese is matured and smoked the week before sale, as it takes a few days for the smokiness to penetrate the cheese. Leonard Stanley is the name of the village where this cheese is made. There are some excellent Cheddar Cheeses available from the West Country made by well established families, so to distinguish this one Leonard Stanley was deemed an appropriate name. 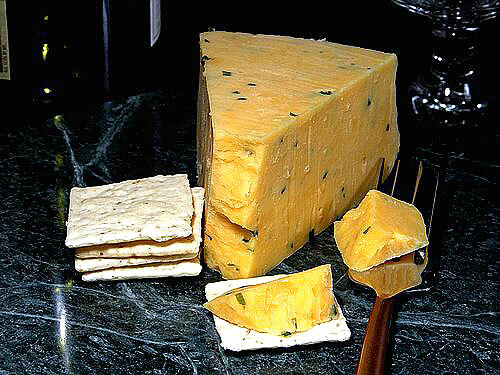 This Cheddar is matured for a minimum of seven months, with each month after seven months taste improves. Our Cheddars are traditionally matured and cloth bound. Probably the most dense of British cheeses but with amazing depth of taste, which continues for several minutes after being eaten. A rich, rounded, mellow cheese with a pale orange hue and smooth texture, It’s a cheese that won’t be hurried, and during the three to four months of maturation gains a wonderful complexity of flavours – made with unpasteurised milk and vegetarian rennet. A moist, delicate cheese with a creamy, buttery taste and a sharp freshness to finish. It is milder than the double Gloucester and uncoloured– made with unpasturised milk and vegetarian rennet. Full fat hard cheese made with pasteurised cow’s milk and non animal rennet. Encrusted with toasted hops which give a pleasing edge to the flavor. Full fat soft cheese made with pasteurised cow’s milk and non animal rennet. A soft, almost runny, cheese with a gentle, enigmatic flavour coming from the chopped nettles which coat the rind. Real cheese lovers favour this blue veined brie. It is unique to Simon Weaver and has a rich creamy texture that goes particularly well with pear. Beautifully soft and buttery, our original brie cheese is perfect served with fresh fruit. This is made from full cream milk from both the morning and evening milkings, with annatto (traditional dye). All the milk is unpasteurised, and vegetarian rennet is used. It is aged for a minimum of 6 months. It has been described by The Real Cheese Companion as “Rich, mellow, powerful, earthy, almost smoky”, “the texture is slightly crumblier than Cheddar”. Wax ripened giving it a rich buttery textured cheese and memorable sting. 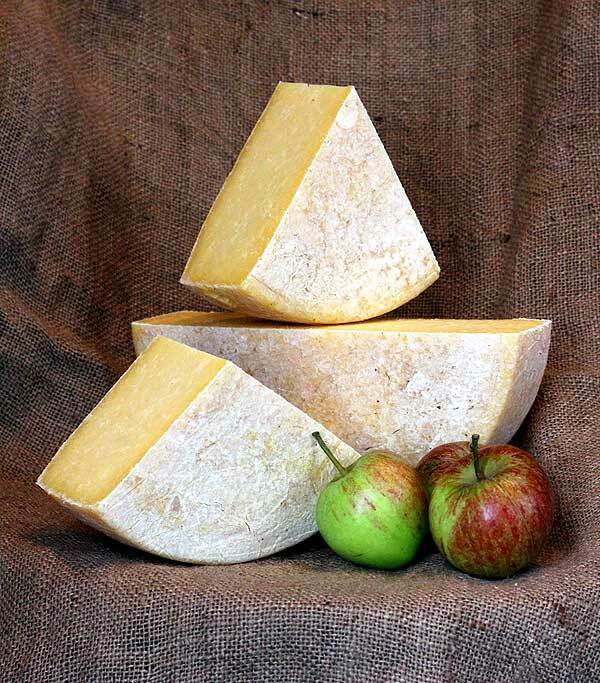 Exclusive to Woefuldane Dairy, Forester is matured traditionally in cloth to produce a supple protective rind. This unpasteurised cheese has a mild, yet complex flavour when young, maturing to a full flavour and ‘bite’ at about six months. This is a delicately smoked Dunlop cheese. Colour becomes golden. Matured for three months before smoking at the Severn and Wye Smokery in the Forest of Dean. The dry texture of the cheese means that the lovely aroma of the smoking can really be enjoyed.